If you're in between sizes and have a full cup (D+), we recommend ordering up so the buttons remain closed. The fabric is stretchy. 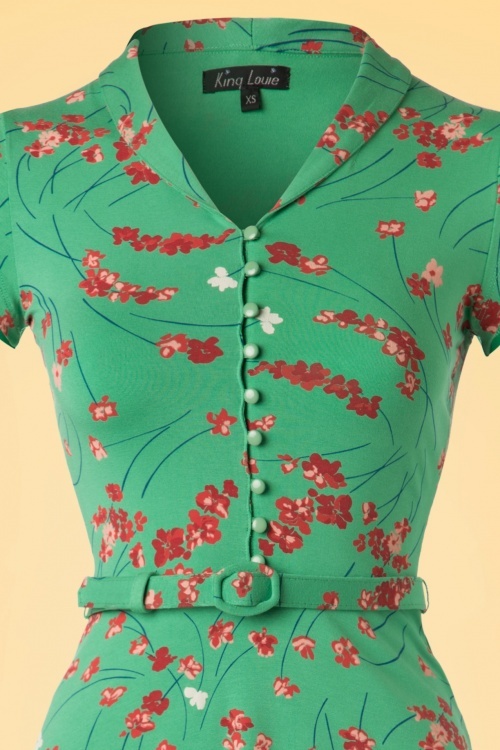 WOW, this 40s Emmy Fleurette Dress is dazzingly beautiful! 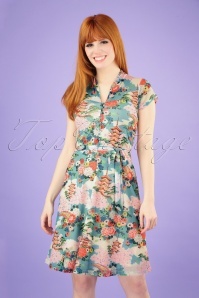 Looking feminine has never been more easy in this dress! 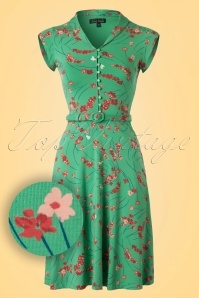 Feminine, playful and cute due to her flowy cut, shawl collar and adorable row of green buttons. 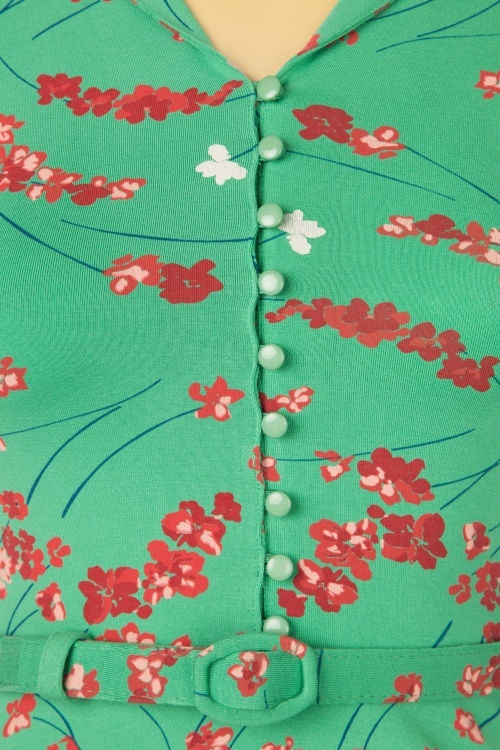 Made from a soft and supple, stretchy opal green viscose blend with a lovely flower print in pink and blue tones. Pair her with basic accessories, this beauty is a real eye-catcher! Wederom super snelle levering. Een dag later al, ondanks dat er met de bestelling iets fout was gegaan. Een belletje naar de klantenservice en het was meteen opgelost! Het jurkje samen met het groene vestje staan heel mooi samen. Het zwarte vestje is ook super! Dank je wel Topvintage! Love it!!! Das Leben ist kurz - kauf dieses Kleid! Alles wat ik hier kocht past goed, ben heel tevreden en blij dat ik deze site heb ontdekt. Werkt beetje verslavend want heb weer een bestelling geplaatst. Ik kan als mama van 2 jonge kindjes niet vaak gaan winkelen en dit is dus ideaal! Al veel complimenten gekregen over de mooie kledij. Thanks! Dieses kleid ist super. Leicht anzuziehen und garantiert weiblich.das kleine schwarze, enlich auch in meinem Schrank. 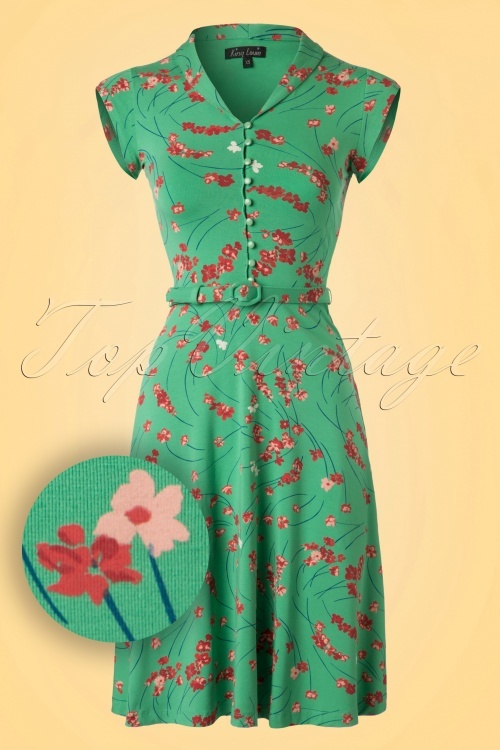 I just cannot stop shopping at TopVintage. Beautiful website, wonderful selection of products and so sweetly wrapped up - no plastic which is a big plus! The skirts are both beautiful. Unfortunately the flamingo one has to go back since it doesnt fit around the waist. The one with the blue flowers is a gift for my mother and I already know she is going to love it! Its a perfect piece that looks classy and is made from a very nice material. Needs ironing but worth the effort! Sadly, both dresses have to go back. The magenta dress has a perfect cut but the colour doesnt go with it. The colour is very 'daytime' to me, while the cut is too elegant and more for the night. 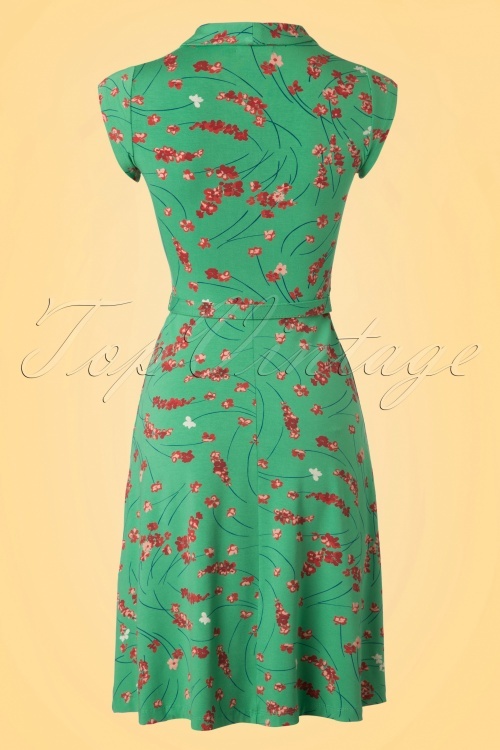 I was so upset to have to send the King Louie dress back. 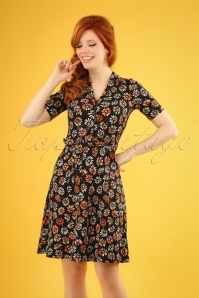 I fell in love with it at first sight and couldnt wait to hold it in my hands... unfortunately it is too short for me (173cm) for a 40s style and the length seems more 60s to me. The brooch is a keeper. Absolutely stunning. It reminds me of colonial India for some reason and straight away sends me back to the 1930s/40s. Super leuke kleding en de volgende dag al geleverd! !